Some of you know i was teaching classes for the good people of Lick and i love what they do in every way. In fact, i arranged a very lo-fi gig for my hub-before-he-was-my-hub there way back when. It was destiny. Backstory aside, we are opening up the yoga classes for anyone to join and invite you to “pay what you can”. 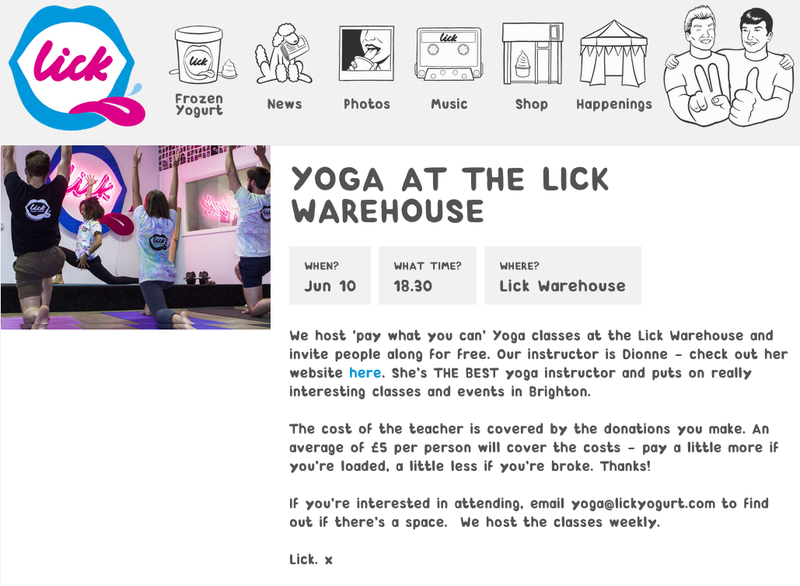 The Lick Yoga project was initiated to try to enable more accessibility to yoga classes so that those who can´t afford the cost of a “normal” class might also be able to join. It´s now grown into a wonderful community and I look forward to it every week – grateful to everyone who comes that makes it SO special and for contributing to make it happen. It couldn´t exist without them and their donations, so we ask attendees to pay what they can afford to help balance out and cover costs of those who can´t. Suggested payment is a fiver, more if you can, less if you can´t. 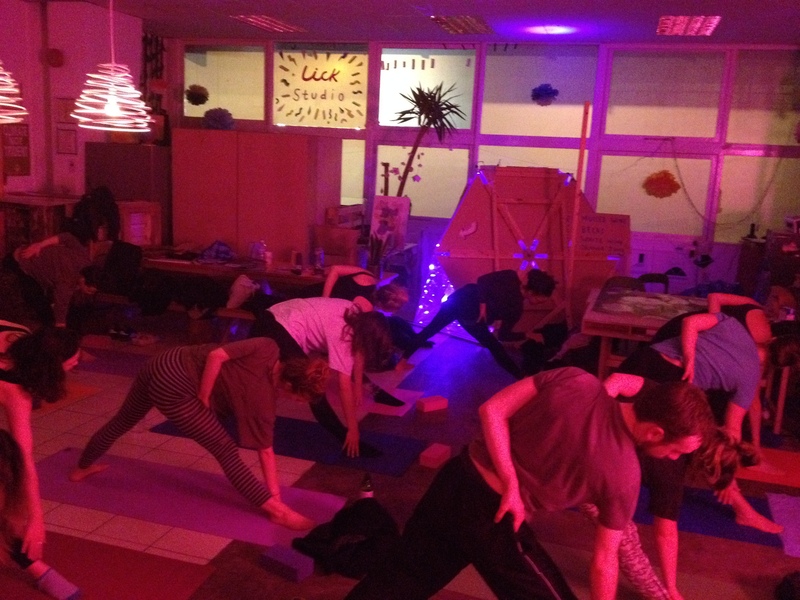 We run every Tuesday 6.30 – 7-30pm, all welcome whether it´s your first or 50th time. Touching toes is not a requirement. Quite a lot of mats are available (first come, first served). There are toilets in the building if you need to change. Maps and directions below. You can also join us on Facebook. And read more about my journey and the Lick project here. Hope to see you there! WHAT IS IT? 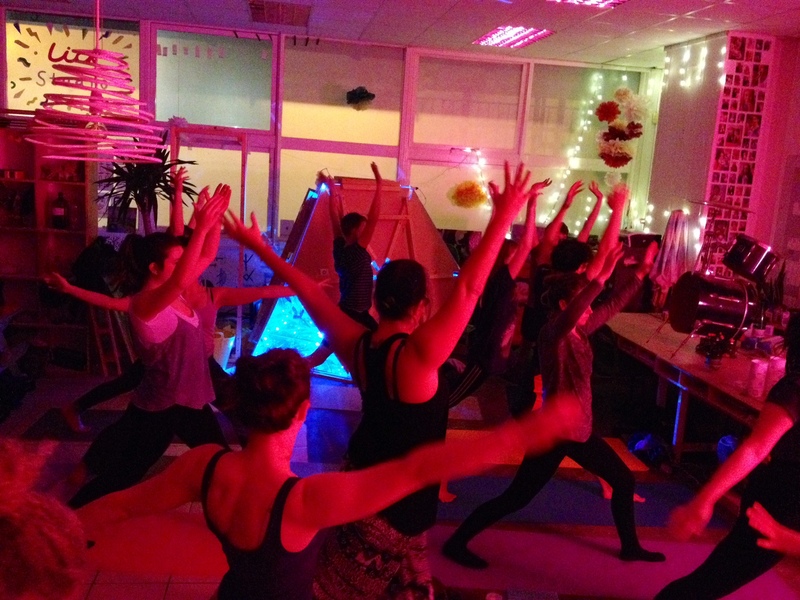 A yoga and creative movement class! Each session is different and interweaves different styles and themes. 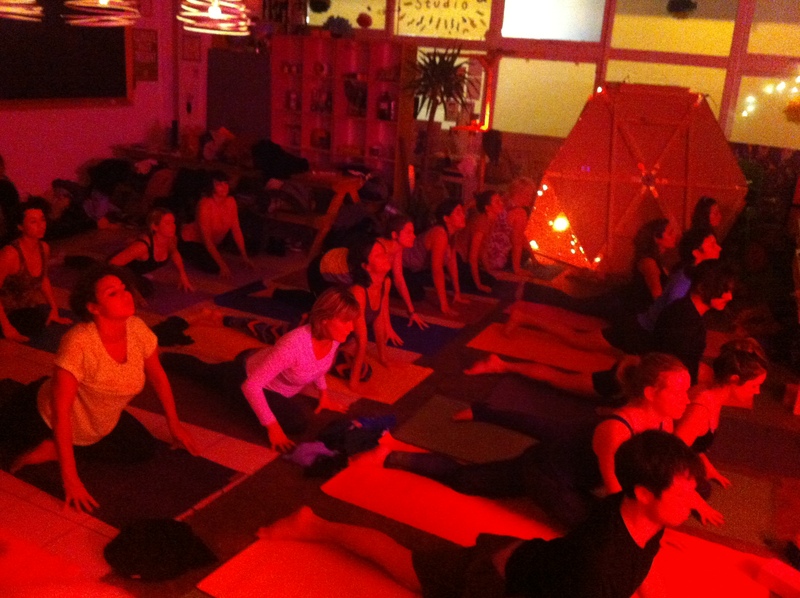 It´s a friendly and welcoming space for you to come as you are and explore your yoga. Here´s a map! Come in on the side “lower” entrance of New England House by the graffiti pictured below (floor 2). What can i expect when i come? 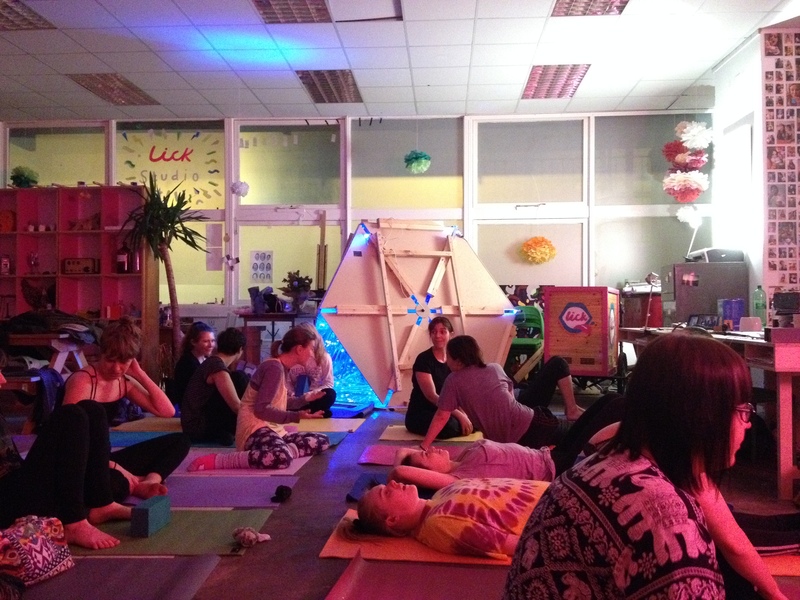 A friendly, safe, nurturing and fun class followed by fro-yo and a chat should you fancy after class. Each class is different, and i curate a soundtrack with the sequence and theme for each class. Any body or level or experience is welcomed and props will be available and you can choose to use them or not. 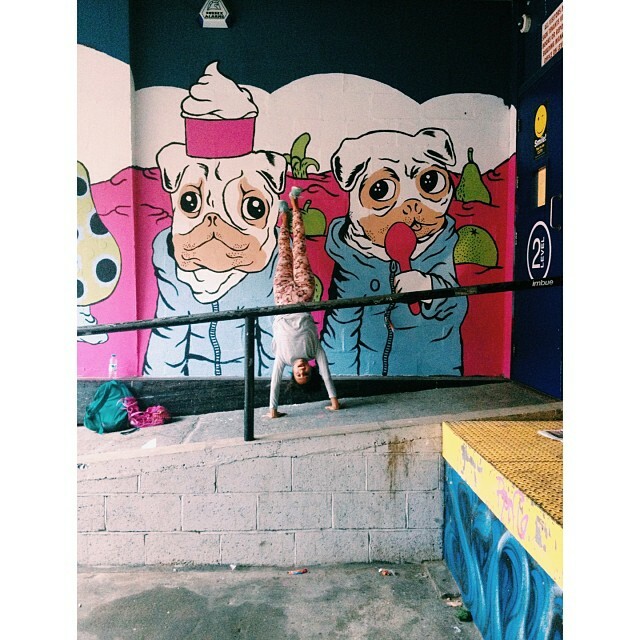 But i can’t touch my toes! Neither could i when i took my first class! Accept where you’re at and be open to possibility because every day is different! Beginners are welcome to either class and will be offered modifications which you can take or leave. Hell, even come to just have a snooze and chill out if that makes you feel good! That’s OK! There are all the mats and props you can borrow, just let us know! Anything you can move comfortably in. And we practice without shoes or socks. Doors will open 15 minutes before class. 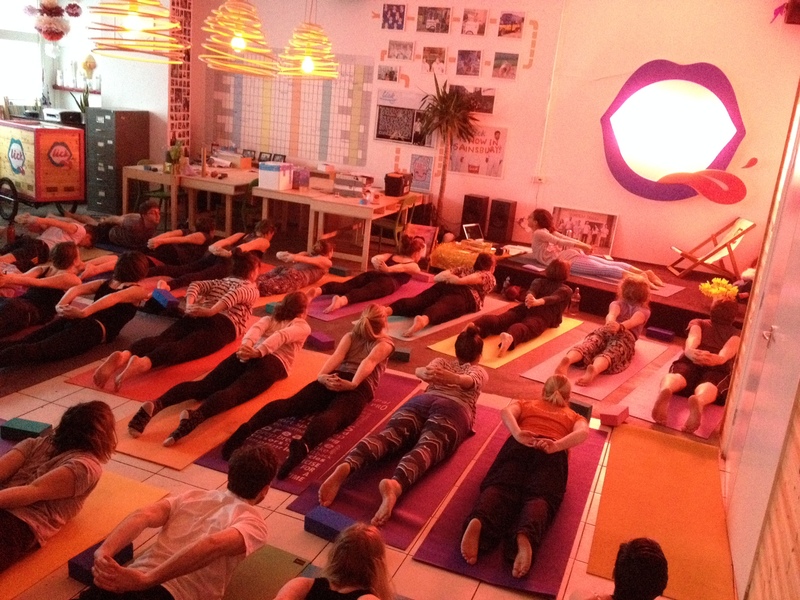 Please arrive at least 5 minutes before class so that you can get settled into your mat and ready to go! Please feel free to contact me to discuss anything else. Usually, the best remedy to your queries is to come and TRY! Here´s the Lick Warehouse entrance! I would like to join your class on Tuesday 7th January please.